In the US, studies show over 1.2 million students drop out of high school each year. That’s about ONE student every 26 seconds. * Communities In Schools Los Angeles is working tirelessly to break this cycle. Overall, we are starting to see improvement with increased graduation rates; however, we still need your help. We hope you will support us and continue to support our students with the opportunities they need to succeed in school and their career. Join us this holiday season, and help our efforts to create lasting impact. 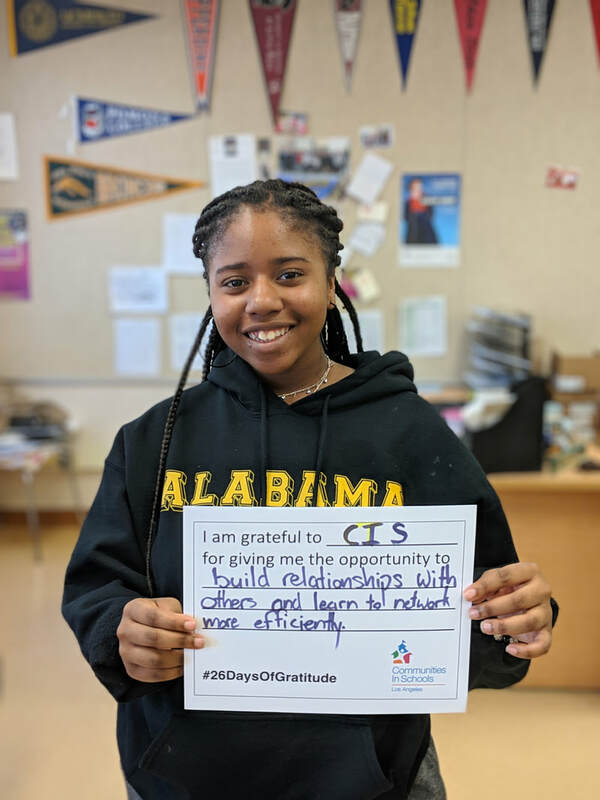 We hope you will participate in our #26daysofgratitude and share who you are grateful for that helped support you along the way with your education and career. Step #1: Share an image or video of a person who helped support your education/career and briefly tell us why they made such an impact on you. 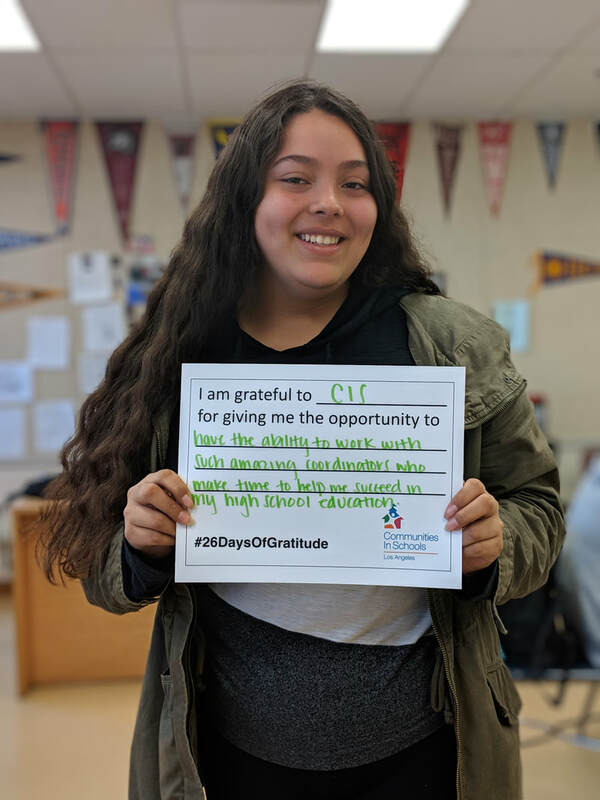 Step #2: Use the hashtag #26daysofgratitude in your post and tag @cislosangeles so that we’re able to find your post. Step #3: Follow @cislosangeles and see other messages of gratitude this holiday season. Help spread this message by tagging 3 of your friends in the comments of your post and ask them to join in sharing our message. Download your sign from the link below. 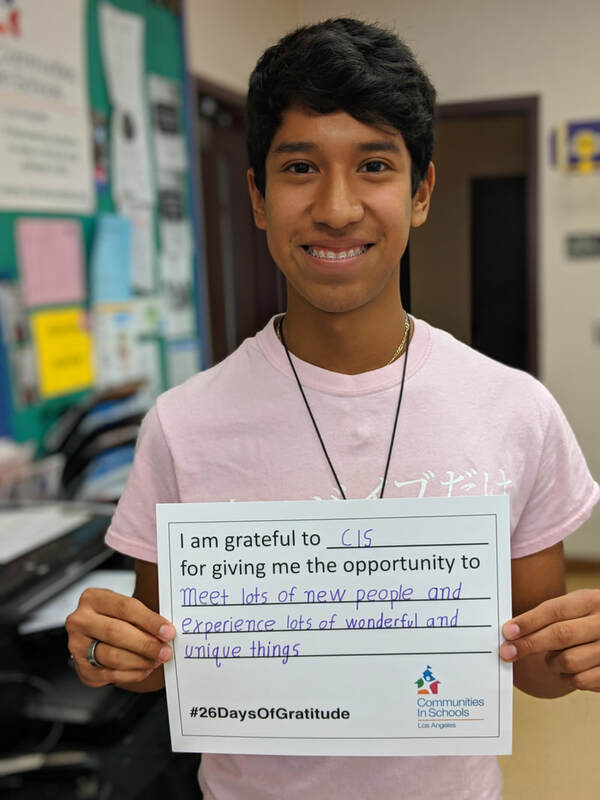 Want to learn more about CISLA? Click HERE. *Miller, Tony. "Partnering for Education Reform." U.S. Department of Education. Accessed February 18, 2015.